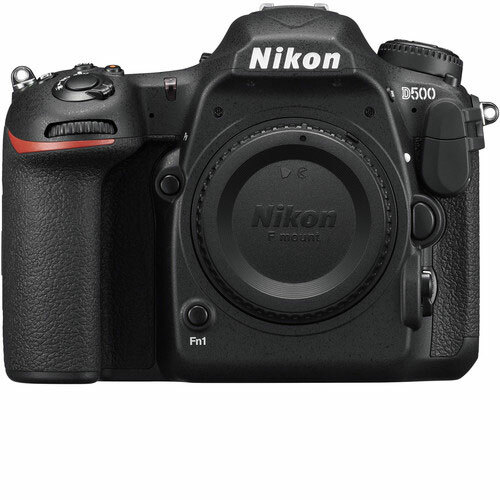 As the flagship model within Nikon’s DX-format DSLR line, the D500 is characterized by its robust physical construction, apt imaging capabilities, and of course, a more compact, sleek form factor than its FX brethren. Revolving around a 20.9MP CMOS sensor and EXPEED 5 image processor, this camera appeals to both still and video shooters with its fast 10 fps continuous shooting rate and 4K UHD video recording abilities. The sensor and processor also combine to avail a native sensitivity range up to ISO 51200, which can be further expanded to ISO 1640000 for working in dark and difficult lighting conditions. Benefitting the fast shooting performance, the D500 is also characterized by its expansive Multi-CAM 20K 153-point AF system, which features 99 cross-type points for fast performance and accurate subject tracking capabilities. While sleek in stature, the D500 is by no means slim on functionality and versatility. Nikon D500 digital SLR camera hire is available for rent or hire from RENTaCAM Sydney.